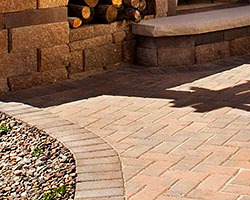 If you are looking for experienced paver installers in the Scottsdale, Peoria, and Phoenix areas, we are your best pick. Advant-Edge Decorative Curbing & Landscaping specializes in the installation of all types of pavers - bricks, stone, and concrete. We have proper training and the required certifications to install these types of paving materials. Please call us today and let us handle the design and construction of your paver features and amenities. Dial (623) 398-6319 now. At Advant-Edge Decorative Curbing & Landscaping, you are guaranteed of outstanding outdoor features and amenities. We always make sure that the structures we build are durable and made from the finest paving materials. We also have crews who can create unique designs for your outdoor amenities. 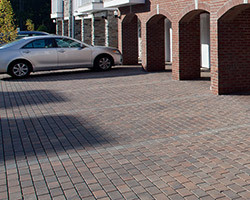 They can easily make your driveway area more attractive with the creative combination of paver colors and patterns. If your project involves the creation of a paver patio, they will choose the best pavers that will complement with your home's architectural design. Achieving your desired theme is also easy with our wide selection of paver designs. Creating outstanding and long-lasting paver amenities is our forte here at Advant-Edge Decorative Curbing & Landscaping. In fact, all of the paver structures that we have built in Scottsdale, AZ years ago are still in their A1 conditions. The pavers that we installed in our clients’ properties were able to withstand extreme weather conditions and other harsh outdoor elements. We can provide these kinds of results because of our partnerships with top-notch suppliers of paving materials. One of our partners that we are extremely proud to have is Belgard. 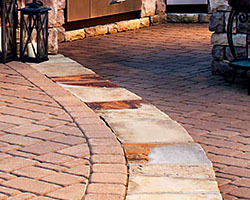 The company is known in the hardscaping industry for its quality pavers and hardscaping supplies. It also offers a great selection of paver designs that can satisfy clients' needs and design requirements. Belgard’s innovative product features also convinced us to choose it over other paver suppliers in Arizona. Its pavers are fade resistant, extremely durable, uniquely designed, and eco-friendly. Don't just hire any contractor to install pavers in your property. You have to make sure that the project is handled by expert people like us at Advant-Edge Decorative Curbing & Landscaping. You can rely on our extensive experience in this field and our crews' unmatched creativity and skills. We have the ability to transform your plans into stunning and functional paver features that can last a lifetime. One of the most popular types of pavers nowadays is Travertine Pavers. Many property owners have really taken with the old world beauty that a natural stone like travertine can add to their aesthetics. Not only is it a beautiful natural stone but it is also very versatile. We have seen it used for pool coping and pool surrounds increasingly. There is no wonder; travertine is not just visually pleasing but it is a very durable stone that can be used for just about any outdoor flooring application you may have in mind! Call us now at (623) 398-6319 or fill out our inquiry form to get more information about our paver installation services. We also offer flexible financing schemes to help clients in Scottsdale and other areas we serve achieve their dream paver amenities.